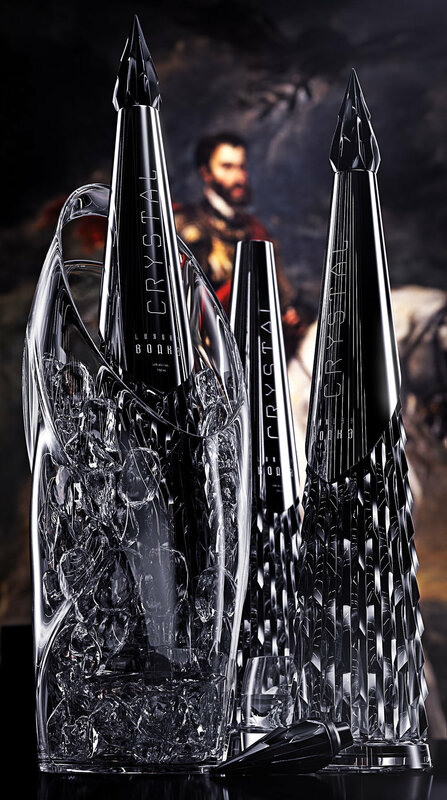 Crystal Vodka is a luxury design concept aimed at the Russian and eastern market of ultra high end alcoholic beverages. The crystal glass bottle of a 750 ml internal volume is 430 mm tall. The glass is dyed in a black gradient and then overlayed by hand with metal coating on the upper part, providing enough space for branding and product information, which would be etched or sandblasted. 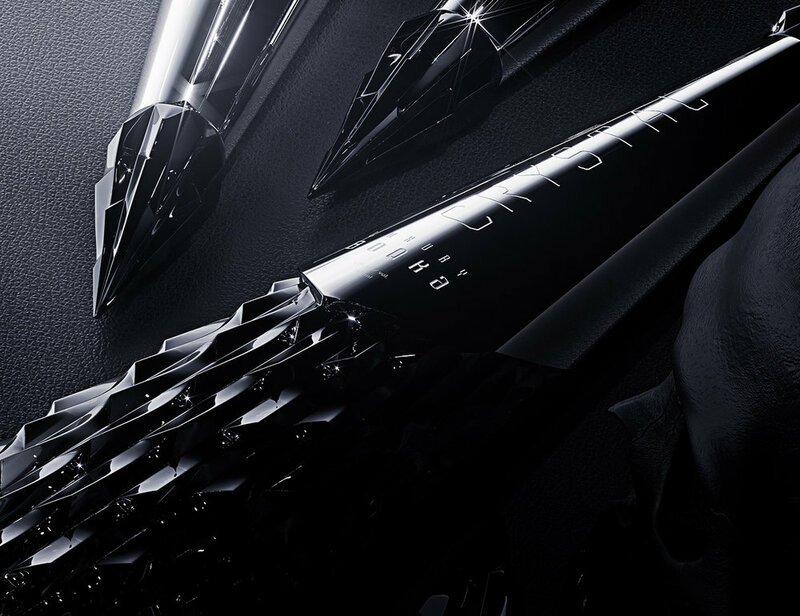 Minimum order of the design at the factory: 1000 units (fewer can be finished in the final steps). Price per unit and mould costs can be only established after the factory studies the project. Please note crystal glass production with specialized finishing processes is financially much more demanding than regular glass production. Sealing of the bottle can be provided by a custom made Vinolok stoppers. Required timeline of any complex glass project from start of the evaluation till end of a production run is at least 6 – 8 months. Price of the concept: 25 000 €. Price includes transfer of IP and eventual adjustments to the project. Price does not include eventual trips to the factory which are reimbursed separately. Price is valid two months since publication of the project.